The statistics tell the facts: interest is increasing. Graphics courtesy of Agence Iter France. 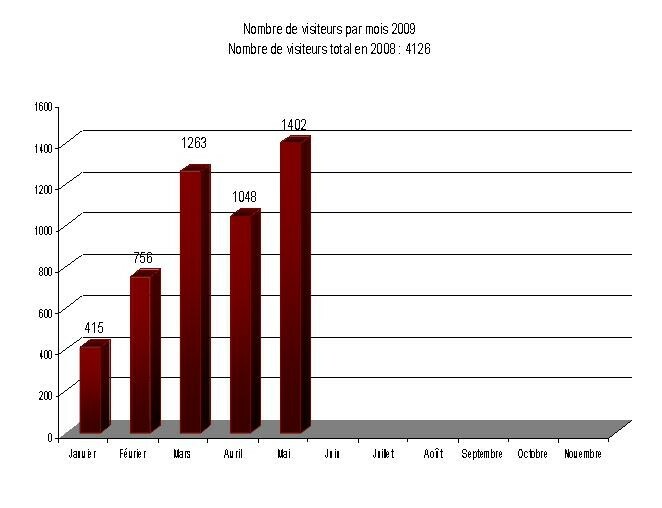 The interest in ITER is growing continually: since the beginning of the year, 4,884 people have come to visit the ITER construction site. The visits are jointly organized by Agence Iter France and the ITER Organization. The visit contact person within the ITER Organization is Véronique Marfaing in the Office of Communication.